Magazine file offers cost-effective storage. 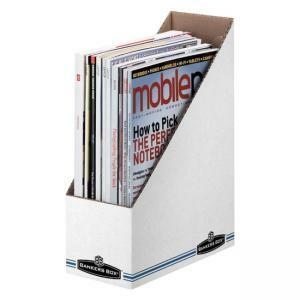 Ideal for standard letter-size magazines, periodicals or files. Sturdy white fiberboard construction withstands moderate usage on desk or shelf. Magazine file contains 65 percent recycled material.